This track is a REALISTIC REPRODUCTION of an authentic remote controlled car track located in Brest - France. 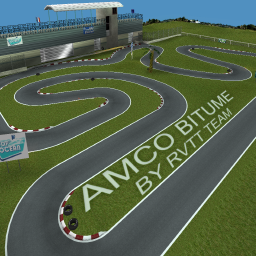 The real AMCO complex includes a speed track and a cross track. This is the revolt adaptation of the AMCO speed track.